I don′t know about everybody else, but I have found of late that the quality of jewellers screwdrivers has gone downhill with very soft flat blades that bend out of shape very rapidly. 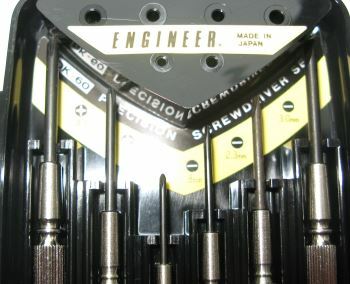 I did some searching online and the reviews of these screwdrivers made by Engineer Inc in Japan were very good. I bought these online from Amazon and they were delivered in a few days. The packaging was very clean and crisp. The case is very nice with a good catch and a nice holder for each of the screwdrivers. 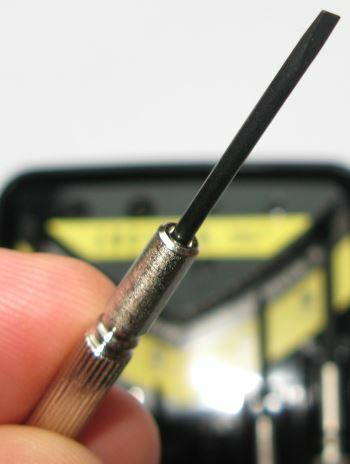 The rotating pads at the end of each screwdriver is nicely made and rotates freely, also they are sized with the size of the screwdriver and so the smallest screwdriver gets a much smaller pad. This all helps with the balance and feel in the hand. The largest of the crosshead screwdrivers is rather on the large size and the set would have benefitted by having a #00 size included instead of this larger one. 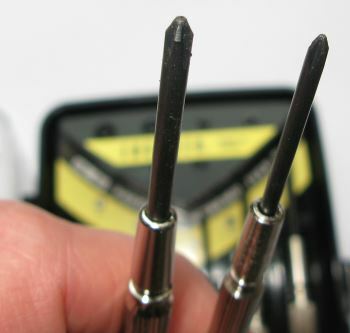 The smallest flathead screwdriver is quite large at 1.8mm across, a 1.5mm would be great in this set. 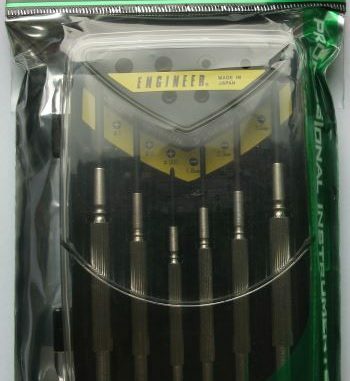 A really fine set of jewellers screwdrivers that are nice to use and well balanced. The only small issue I have is the range of sizes is quite spread and the largest screwdriver of each type could be replaced with an intermediate or smaller size to make this a better set for repairing glasses, watches or just general model making.